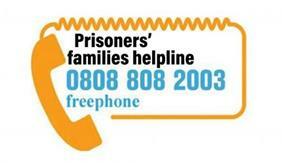 This is the HMPPS Policy Document: Strengthening Prisoners Family Ties. In contains the rules and guidance for prison staff on supporting the maintainance and development of prisoners' relationships with family, significant others and friends. Below are the slides and feedback from the 2019 '2nd Developing Effective Practice for Families and Significant Others National Conference' delivered by the HMPPS Families Strategy Working Group at HMP Askham Grange on 5th March 2009.